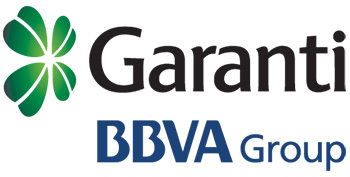 Established in 1946, Garanti is Turkey’s second largest private bank. Garanti’s core banking activities include retail, corporate, commercial, Small/Medium Enterprise (“SME”) and payment systems. Garanti operates as an integrated financial services company with a total of eight financial subsidiaries offering services in pension, leasing, factoring, securities and asset management along with its international subsidiaries in the Netherlands, Russia, and Romania. Garanti represents the highest ratings assessed to a Turkish bank. Garanti is committed to constantly and significantly increasing the added value it contributes to its clients, shareholders, employees, society, and the environment. As debates concerning the limited resources of our planet intensify, Garanti is in the apprehension that inadequate efforts are put towards building a sustainable future. Hence, it aims to lead by example by taking its mission beyond banking services and by minimizing the adverse impact its operations cause to the environment. Garanti displays the same stance in supporting corporate social responsibility projects as it does in offering value added banking services to the economy. Garanti is committed to create value for society. To enhance and sustain the society’s quality of life along these lines, the bank extends long-lived support to projects in education, culture, arts, sports and environment that represent the corporate culture and broaden the vision of individuals and the community. Garanti values its community and its environment. Its programs in CSR are designed to encourage the development of skills, education and quality of life.